Two men have been remanded in custody after being accused of stealing metal aperatures and a sewing machine from a Sliema store. The two flatmates, who are allegedly battling a drug problem, were refused bail after pleading not guilty. 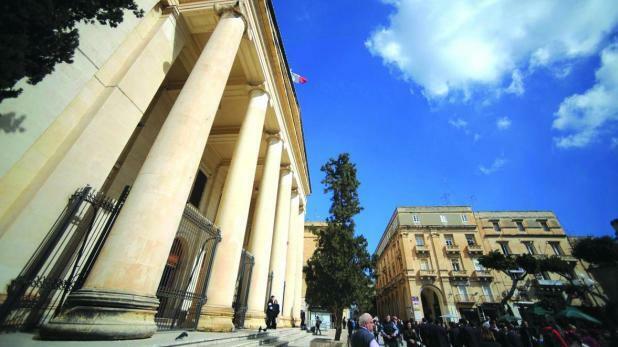 Stephen Galea, 38, and James Mizzi, 42, both unemployed, were taken to court after a tipoff to the police last month pointed investigators in their direction. The police were further informed that the stolen apertures had possibly been sold to a recycling company. The owner of the recycling business had identified Mr Galea as the person with whom he had clinched a deal. Prosecuting inspector Mark Mercieca also explained how a metal door recovered from the recycling firm was a perfect fit for one of the apertures at the Sliema store. A search by the police in the apartment shared by the two suspects in Cospicua led to the discovery of a sewing machine which had vanished from the store. Along with theft, the two men were also accused of having breached the conditions of an earlier suspended sentence, while Mr Mizzi was further charged with being a relapser. While waiting for their hearing to begin, one of the men was repeatedly overheard voicing his concern about his pet cat, which would be left unattended to if he and his friend were not to return home. But the prosecution objected to a request for bail since witnesses had to testify. Moreover, the two men were not trustworthy and needed immediate help to tackle their drug problem, the prosecutor argued. Magistrate Josette Demicoli turned down the request for bail, prompting one of the accused to again voice concern about his cat, before being led out of the courtroom. The magistrate did not reply. Lawyer Leontine Calleja was legal aid counsel to the two men.